The price of petrol on Sunday touched a record high of Rs 76.24 per litre and diesel climbed to its highest ever level of Rs 67.57 as the oil PSUs passed on four weeks of relentless rise in international oil prices to consumers. Petrol price on Sunday increased by 33 paise a litre in India’s capital city Delhi: The highest since the daily price revision came into force in mid-June 2017, and diesel by 26 paise, according to price notification issued by state-owned oil firms. Rates vary from state to state depending on the incidence of local sales tax or VAT. Prices in Delhi are the cheapest in all metros and most state capitals. With this increase, petrol has touched an all-time high, breaching the previous high of Rs 76.06 touched in Delhi on 14 September 2013. Diesel rates are also at the all-time high level. This is the seventh straight day of price increase since oil PSUs on 14 May resumed daily price revision after a 19-day pre-Karnataka poll hiatus. In all, petrol price has been raised by Rs 1.61 a liter and diesel by 1.64 in last one week. 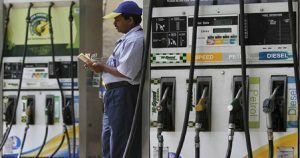 In India, petrol is the costliest in Mumbai where high local taxes has led a price of Rs 84.07 per litre. Petrol has breached Rs 80 mark in Bhopal (Rs 81.83 a litre), Patna (Rs 81.73), Hyderabad (Rs 80.76) and Srinagar (Rs 80.35), according to the price notification. Petrol in Kolkata costs Rs 78.91 per litre while it is priced at Rs 79.13 in Chennai. The cheapest petrol is available in Panjim where a litre comes for Rs 70.26. Diesel is the costliest in Hyderabad were it is priced at Rs 73.45 a litre due to high local taxes. It is priced at Rs 73.34 in Trivandrum. Other cities where diesel rates have crossed Rs 70 mark are Raipur (Rs 72.96 a litre), Gandhinagar (Rs 72.63), Bhubaneswar (Rs 72.43), Patna (Rs 72.24), Jaipur (Rs 71.97), Ranchi (Rs 71.35), Bhopal (Rs 71.12) and Srinagar (Rs 70.96). 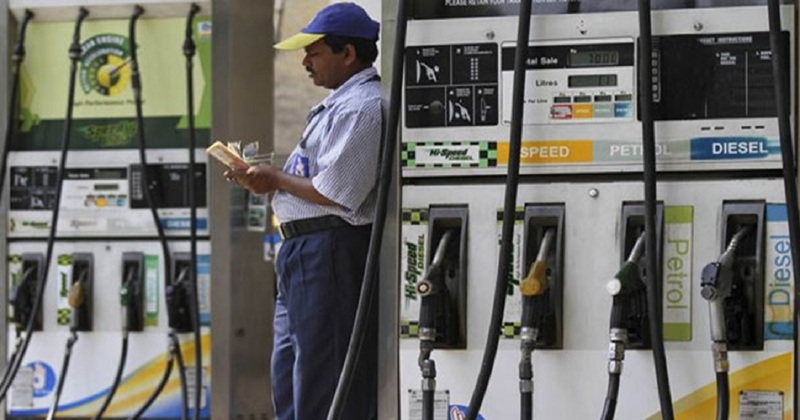 A litre of diesel costs Rs 71.94 in Mumbai, Rs 70.12 in Kolkata and Rs 71.32 in Chennai, the notification said. Diesel is the cheapest in Port Blair where it is priced at Rs 63.35. On Friday, Economic Affairs Secretary Subhash Chandra Garg refused to say if the government will cut excise duty on auto fuel to ease the burden on consumers. The BJP-led government had raised excise duty nine times — totaling Rs 11.77 per liter on petrol and Rs 13.47 on diesel — between November 2014 and January 2016 to shore up finances as global oil prices fell, but then cut the tax just once in October last year by Rs 2 a litre. No sooner had Karnataka polled to elect a new state government, state-owned Indian Oil Corp (IOC), Hindustan Petroleum Corp Ltd (HPCL) and Bharat Petroleum Corp Ltd (BPCL) on Monday ended a hiatus in revising petrol and diesel prices that began on 25 April and reverted to the 11-month old practices of changing rates on a daily basis. Oil PSUs are estimated to have lost about Rs 500 crore on absorbing higher cost resulting from the spike in international oil rates and fall in rupee against the US dollar during the nearly three-week hiatus.